When you dream of Florida’s Gulf Coast, what comes to mind? Here in 30A, we think of sparkling emerald waters, rare dune lakes, the beachfront splendor of our luxury condos, and a wide variety of family-friendly things to do. Whether you’re an outdoor enthusiast, gourmand, or parent searching for idyllic, unspoiled beaches, 30A is a one-of-a-kind destination that’s ideally suited to your wants and needs. Here are just a few things to do in 30A that will immerse yourself in our vibrant local culture! Before packing your bags for breathtakingly beautiful 30A, Florida, be sure to create an itinerary. Planning a beach vacation that will please everyone can be overwhelming, but it doesn’t have to be! Our complimentary 30A Vacation Guide is the area’s best resource for dining, shopping, adventuring, and lodging suggestions. Request access today and we’ll send you a complete list of the best things to do in 30A, Florida! 30A is a haven for lovers of the good life! The good life, of course, is one spent enjoying the great outdoors. Here, visitors can create their own adventure. Paddleboard across a rare dune lake, bike one of our winding trails, or have a picnic in a scenic public park. Our area is also ideal for lovers of golf, saltwater fishing, sailing, and kiteboarding! You can’t go wrong spending time outside in our Gulf-front paradise. What are you waiting for? Our sugar-white sand beaches are calling your name! 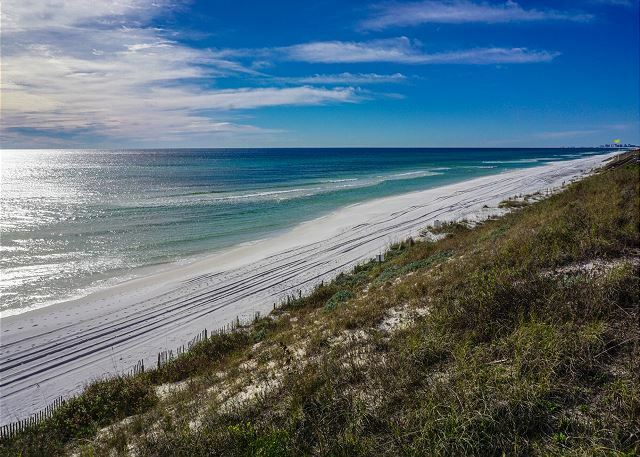 Here are the top five outdoorsy activities to try while visiting 30A. There’s no better place for a family beach vacation than 30A! Kids love building sandcastles in our sugar-white sand, exploring in our crystal clear waters, and learning new things at our local museums and galleries. Our unique coastal communities are natural playgrounds for kids of all ages; there’s so much to discover here! 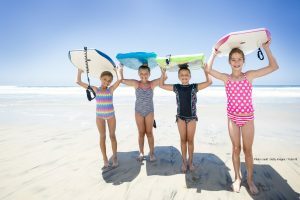 Whether your family loves indoor activities or prefers having fun in the sun, your crew will approve of these five family-friendly activities. Florida’s Gulf Coast Is Calling. Will You Answer? When you visit 30A, know that you have a Friend at the Beach! We go the extra mile for you when you choose to stay with us. Amenities include an extensive concierge service, free WiFi, stocked kitchens, 100% cotton linens and towels, luxury interiors, Gulf-front pools, and stunning beach views. Our luxury condos offer perfect opportunities for families and friends to unplug, unwind, and simply enjoy one another’s company in sunny Florida. We welcome you to stay in one of our diverse properties in Adagio (on Blue Mountain Beach), San Remo, or Villa Coyaba (in Destin). What are you waiting for? Get a head start on planning and check our availability today!